Michel Foucault is famous as one of the 20th-century’s most innovative thinkers – and his work on Discipline and Punish was so original and offered models so useful to other scholars that the book now ranks among the most influential academic works ever published. Foucault’s aim is to trace the way in which incarceration was transformed between the seventeenth and twentieth centuries. What started as a spectacle, in which ritual punishments were focused on the prisoner’s body, eventually became a matter of the private disciplining of a delinquent soul. 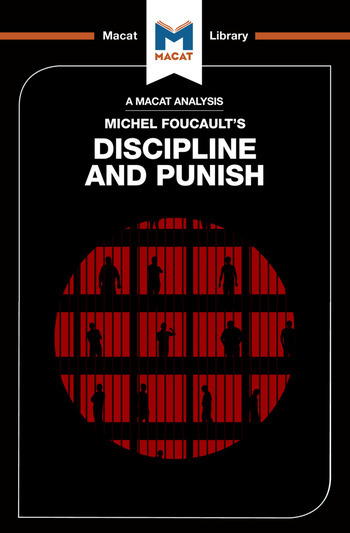 Foucault’s work is renowned for its original insights, and Discipline and Punish contains several of his most compelling observations. Much of the focus of the book is on making new connections between knowledge and power, leading Foucault to sketch out a new interpretation of the relationship between voir, savoir and pouvoir – or, ‘to see is to know is to have power.’ Foucault also dwells in fascinating detail on the true implications of a uniquely creative solution to the problems generated by incarcerating large numbers of criminals in a confined space – Jeremy Bentham’s ‘panopticon,’ a prison constructed around a central tower from which hidden guards might – or might not – be monitoring any given prisoner at any given time. As Foucualt points out, the panopticon creates a prison in which inmates will discipline themselves, for fear of punishment, even when there are no guards present. He goes on to apply this insight to the manner in which all of us behave in the outside world – a world in which CCTV and speed cameras are explicitly designed to modify our behavior. Foucault’s highly original vision of prisons also ties them to broader structures of power, allowing him to argue that all previous conceptions of prison are misleading, even wrong. For Foucault, the ultimate purpose of incarceration is neither to punish inmates, nor to reduce crime. It is to produce delinquency as a way of enabling the state to control and of structure crime. Dr Meghan Kallman is a Postdoctoral Research Fellow at Brown University, working in the Department of Sociology. Her research focuses on bureaucratized morality and public altruism. In her spare time, she plays accordion in the Extraordinary Rendition Band, a guerilla activist collective in Providence, RI.